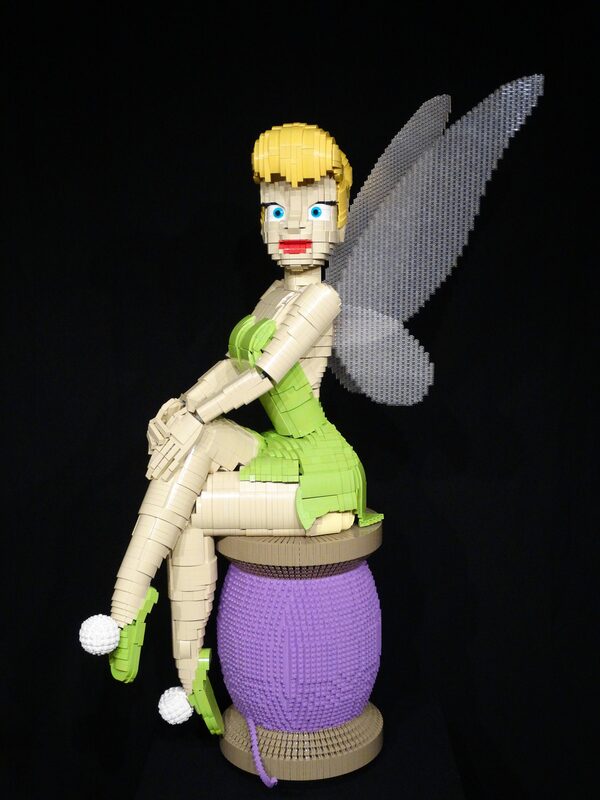 It’s hard to define which LEGO models are sculptural and which are just a regular pile of bricks, but we know a good sculpture when we see one — even if it’s a funny cartoon character and not the Venus de Milo. When builder Tomáš Kašpařík takes on a project, you can almost bet it’s going to be unpredictable and stunning. These two statues, an athletic woman and a child, are beautiful and have a feeling of piercing tranquility. 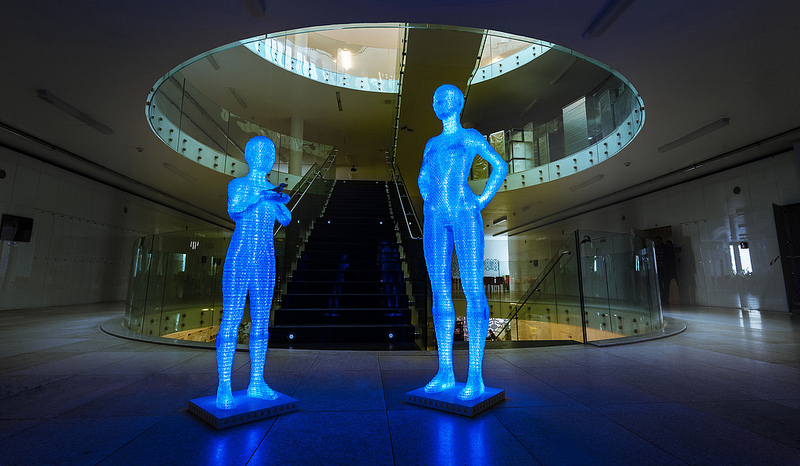 Made mostly with 1×2 transparent LEGO bricks lit with LED strips from the inside, the sculptures contain about 20,000 bricks and 10,000 bricks respectively. 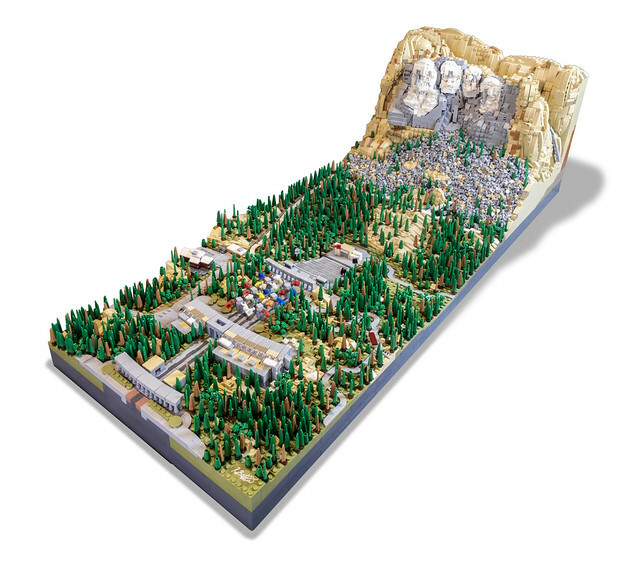 For them to be stable for display and transportation, the pieces are glued using similar methods to those employed in the models at Legoland. One of the most incredible things about LEGO is that you can truly build anything you set your mind to. A good builder can take a pile of squared-off pieces and create something that looks organic. Sometimes a LEGO artist (because that’s what they really are) has that extra stroke of genius that takes a build to the next level and gives it life. If you don’t know about Alex de Jong, you should, because he’s proven this point with his stunning tribute to Disney’s Tinker Bell. We were fortunate to communicate with Alex throughout the build process, and he has been kind enough to share with us exclusive details about the project. Click to read the tale behind the fairy! 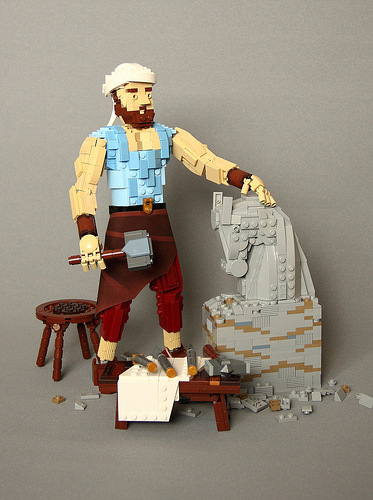 Builder keiichi kamei is no stranger when it comes to building phenomenal LEGO sculptures. Earlier this year, you might recall us sharing his New Year lion dance mask. 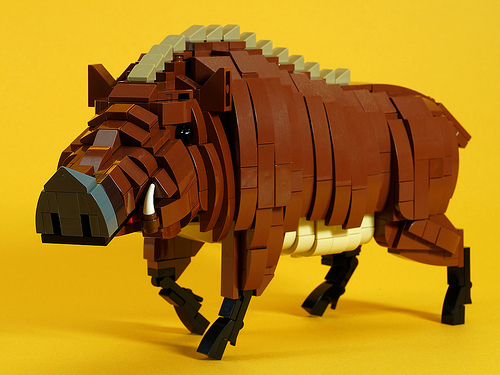 With 2019 being the year of the pig, keiichi is back with a majestic-looking LEGO wild boar. His boar looks like the real deal, thanks to intricate sculpting of the animal’s body. A combination of curved and angled slopes form the overall shape of the body, which is nearly void of studs. Meanwhile, the positioning of the legs is reminiscent of how boars trot around while they forage for food. Better watch out for those tusks, though! A couple weeks ago we started featuring curated LEGO auctions featured on Catawiki. 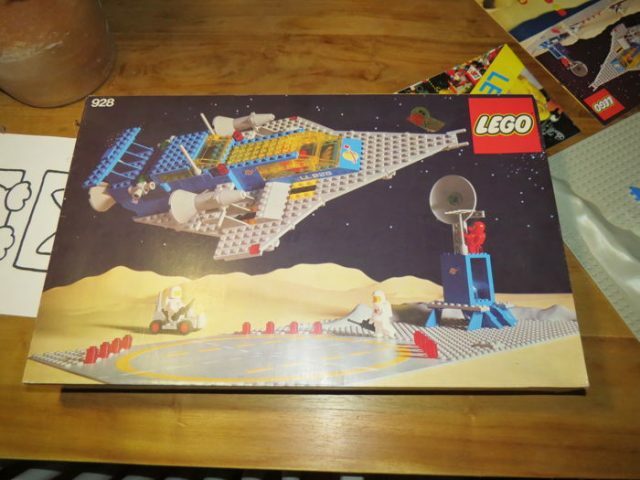 Current auctions include some rather rare LEGO sets from the 70’s and 80’s, along with custom models by LEGO artists. One of the most nostalgic LEGO sets from the Classic Space era is 928 Galaxy Explorer. A copy of the set complete with box and instructions in great condition is up for auction right now. An artist’s work is never done, but even when the stone block is still half rough from the quarry, there’s room to marvel. Gabriel Thomson‘s rugged craftsman may be working with a harder medium than Gabriel himself, but it’s nonetheless a reflection of the skill involved in art, be it made of marble or LEGO. And speaking of skill, the horse head is fantastically sculpted, but no less so than the workman with his thick beard and toned arms. The cube is one of the most common shapes and one that is particularly well suited to LEGO models. 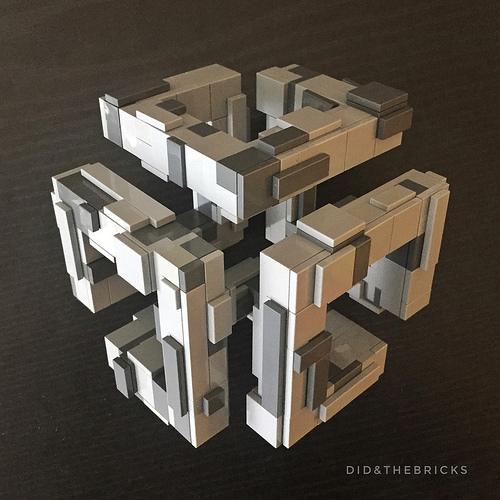 But this clever construction by Didier Burtin takes cubic LEGO construction to a whole new level. The structure of 5 plates matching the width of 2 studs is the most basic form of LEGO math at the core of this model, but the use of sideways facing stud bricks, jumper plates, and brackets, as well as plates and tiles in alternate shades of gray, add up to way more than the sum of its parts. The enormous, elephant-like oliphaunts (also known as Mûmakil to their Haradrim riders) wowed the hobbits Sam and Frodo as they made their way through Ithilien. 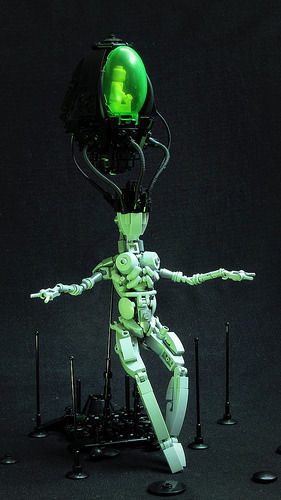 Impressive as they may have been in the books and movies, this LEGO sculpture by Marcin Otreba adds movement to his bricks and brings the creature to life. Back in the late 1800s, bicycling soared in popularity. One of the more unusual bikes to emerge from this period was the penny-farthing high wheeler. It earned the penny-farthing name based on the size of its wheels, which were compared with the size of a British penny in relation to a farthing coin. 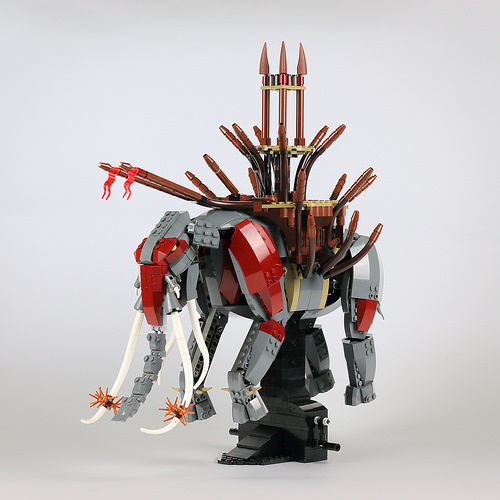 Melan-E has taken this scary looking cycle and transformed it into an impressive large-scale LEGO model. In addition to looking fit for riding through the streets of London, Melan-E’s model also offers a case study in how the natural flex of stacked bricks can be used to achieve convincing curves. The wheel consists of 2×2 round bricks, and the frame utilizes 1×1 round bricks. Both examples appear to be threaded together with flex tube, allowing the bricks to curve without falling apart. 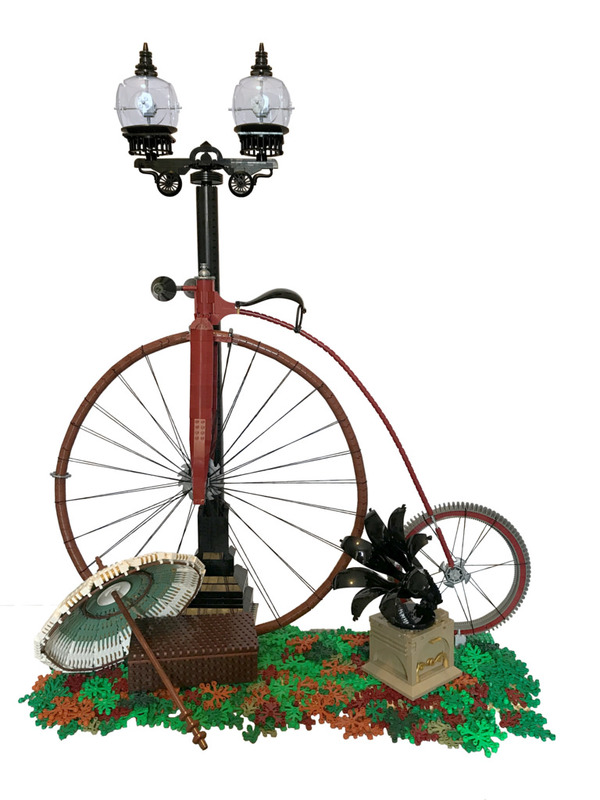 The cycle is supplemented with LEGO versions of period props like a phonograph and Victorian parasol, which help create a cohesive scene that breathes life into this high wheeler. Riley Scott fancies himself the “Tony Stark of LEGO”. However, his latest creation positions him to take the title of Dwarf King currently held by the lonely Eitri. 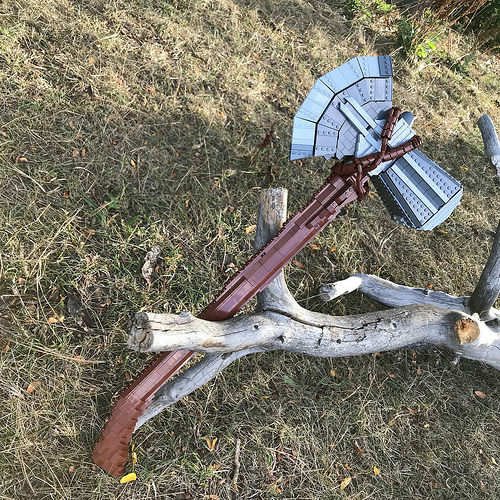 I think we’re past the point of spoiler warnings with Avengers: Infinity War already in its home video phase, so I’m just going to jump right into how perfectly this model recreates Stormbreaker after its unique birth. 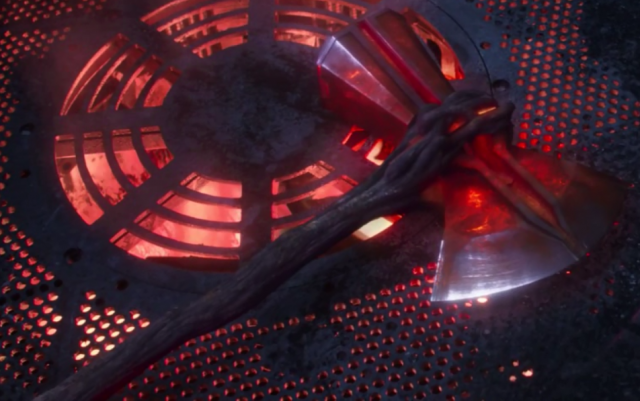 In the movie, the freshly-cast hammer and axe sections fall out of the mold, and with both Thor and Eitri unable to help complete the weapon angsty teen Groot finally jumps into action by grabbing the separate pieces and intertwining them with wooden tendrils. Compare the LEGO model to its completed appearance in Infinity War below: the contrast of the metal look against the more organic stacked round LEGO bricks and plates is stellar. One more shot of the strongest weapon in Asgardian history, one we saw deal some major damage to Thanos in the climax of the film. Sadly, Thor should have gone for his head. 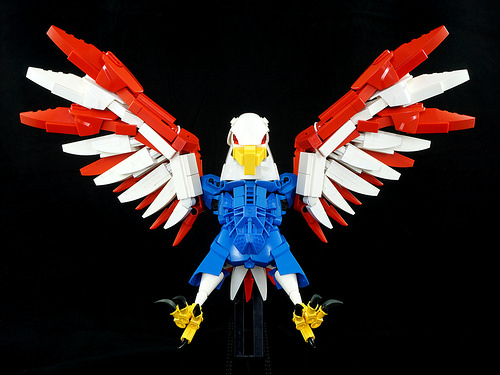 The United States’ Independence Day celebration may have been last month, but this feathery model from the crafty Sergei Rahkmaninoff is a high-flying patriotic tribute any time of the year. 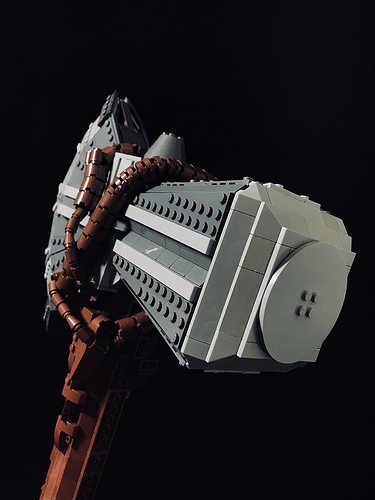 Like some of the other Bionicle models featured on TBB recently, this big bird was built as an entry for the 2018 Bio-Cup contest being held on Flickr. We’ve featured birds of prey on TBB in the past, but you’ve never seen one with as dazzling a color scheme or innovative parts usage as this. The Hero Factory shoulder armor for the eagle’s beefy upper legs is impeccable, and the red-and-white striped wings are cleverly constructed with overlapping slopes and teeth pieces. I feel like freedom is about to claw my eyes out.